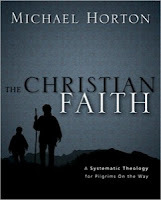 The Christian Faith: A Systematic Theology for Pilgrims On the Way by Michael Horton is not your average systematic theology. It's not broken up into simple chapters ending in "-ology" like Christology, hamaritology, ecclesiology, and the like. Instead, Michael Horton means to tell a story because the doctrines of Scripture arise out of the drama of Scripture. Or as he puts it, "The Christian faith is, first and foremost, and unfolding drama . . . The great doctrines of the Christian faith arise out of this dramatic plot". The benefit of an approach like this is that The Christian Faith doesn't read like a dry systematic theology. Instead, the very words that Horton uses to describe biblical doctrine and theology—words like "drama", "story", and "narrative"—are also perfectly fitting words to describe Horton's book. He also includes a lot of the history of theology, and does so in an equally engaging way. Names like Augustine, Barth, Berkhof, and Schleiermacher need not necessitate a dull read, and Horton soundly makes this point. One caution: this book can be an intimidating read on a few different levels. The size itself (just under 1,000 pages) may keep more than a few from cracking the cover. And Horton is a scholar of not only theology but history and philosophy, so the novice may want to keep a dictionary (and a smart friend) nearby. With those cautions in mind, I cannot recommend this book more highly. 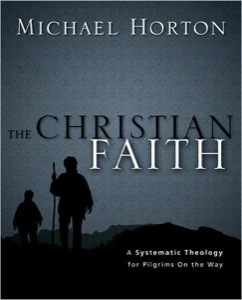 If you want a systematic theology that deals with each topic in its biblical, philosophical, historical context, Horton's The Christian Faith is first rate. While this book may not be the top choice for introductory theology, this book is like the best theological jawbreaker. Try and take it fast and it will break you. But take your time on it, savor it, and it will deliver a sweet payoff in the end. This book was a free review copy provided by Zondervan. Hey, thanks for this review! I'm pretty excited to see this book coming out. I'm hoping that more thoughtful evangelical theologies like this will stimulate pastors and break the stronghold of awful, boring theology (ahem, Grudem). 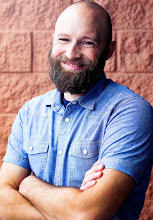 Christians In Context is a gospel-centered collective focusing on three main themes: gospel preparation (apologetics, pre-evangelism), gospel proclamation, and gospel application. Click the icon above to find out more! Love Wins for all the fallen? "You're Being Very Un-Bell Here"
Creative Commons Attribution-No Derivative Works 3.0 United States License.